CSEA members from the Western New York DDSO Local sign recommit cards at the local’s annual hot dog roast in West Seneca. 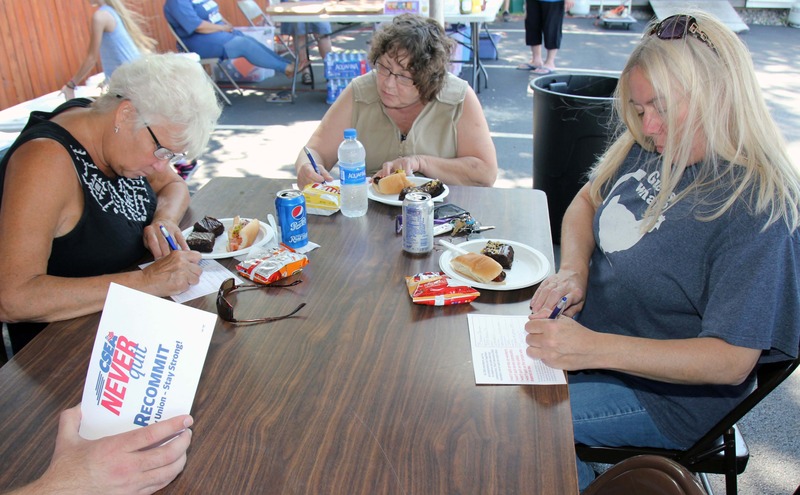 WEST SENECA — Western New York DDSO Local officers used the local’s recent annual hot dog roast to urge members to stick with our union. Local President Stacey Pettigrew, vendors representing many CSEA’s member-only benefits and Labor Relations Specialist Steve Meyer were among those who explained the importance of staying union and staying strong, as well as what it means to be a proud union member. Many attendees signed CSEA recommit cards to show their support of staying union.